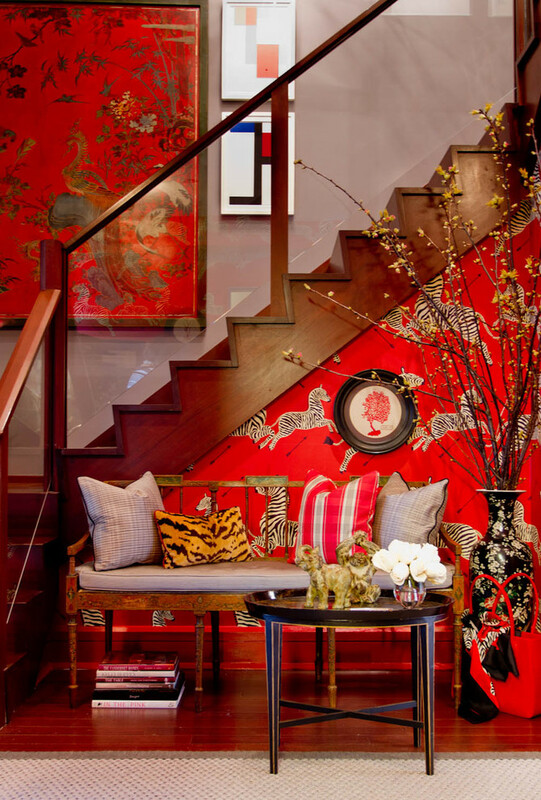 Decorating with red can be a little tricky but one thing’s for sure – designers say a home must have at least one red room. We’ve tackled this crazy color below to prevent you from making any mistakes you may regret! 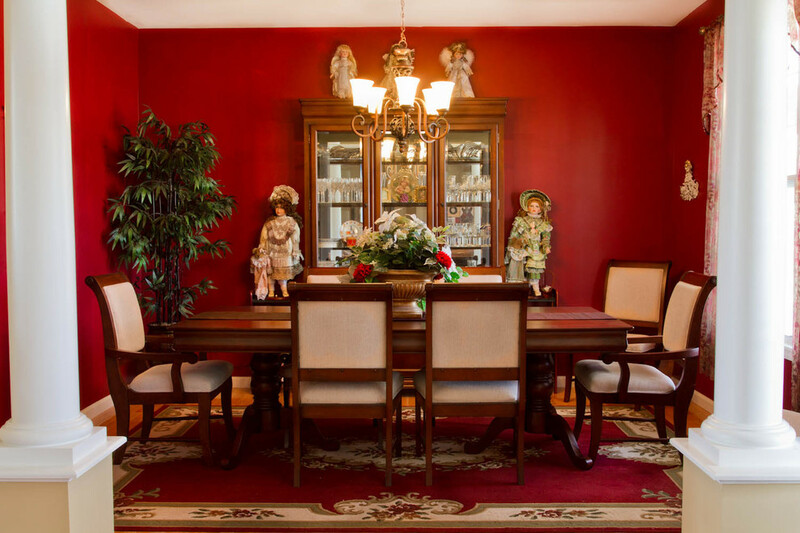 Use inspiration – Before settling on the right red hue, look at photos of other spaces that used an allover red for their walls. Get ideas and try to picture your own home bearing that color. Light works wonders – Take your paint chips into the bright sun during the day, does it look the same as it did in the store? Try it out during the nighttime, daytime, in natural and artificial light. Most colors change depending on the lighting so make sure you like all your color’s shades. Try it out – Take a sample swatch from your store and try it out on your wall at home. Let it sit for a few days and decide if you could live with it for the next few years. Be prepared – Clean up all your walls from any grease and dirt, mask all your woodwork, protect floors, and adjoining walls before starting to paint. Mix, Mix, Mix! – Deep bold colors are usually prone to streaking since they have much more pigment than regular colors. Mixing your paint really well can make a huge difference. If you are using two cans, make sure you mix the two together to get an even color all around the room. Save – Keep an ounce of paint for future dents, scratches or marks. 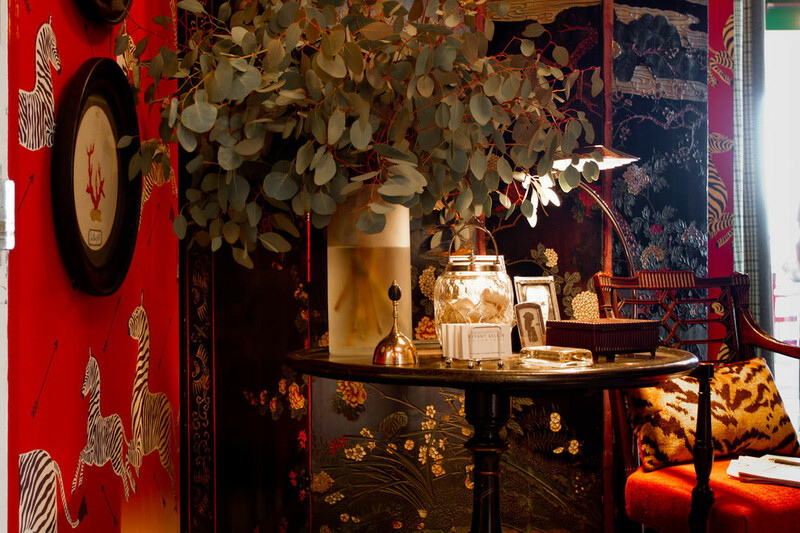 This entry was posted in Dining Rooms, Hallways and tagged asian decor, better decorating bible, blog, how to, leopard print pillow, red paint, red room, red walls, striking, suzy q. Bookmark the permalink.